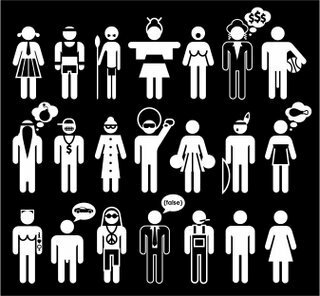 Stereotype – A fixed, over generalized belief about a certain group of people. Usually negative. Microinvalidations: Communications that subtly exclude, negate or nullify the thoughts, feelings or experiential reality of a person of color. For instance, white people often ask Asian-Americans where they were born, conveying the message that they are perpetual foreigners in their own land. Microassaults: Conscious and intentional actions or slurs, such as using racial epithets, displaying swastikas or deliberately serving a white person before a person of color in a restaurant. Microinsults: Verbal and nonverbal communications that subtly convey rudeness and insensitivity and demean a person’s racial heritage or identity. An example is an employee who asks a colleague of color how she got her job, implying she may have landed it through an affirmative action or quota system. Probably the best discussion I’ve seen on the definition of racism was on the blog Stuff White People Do. Following is a portion–once you finish this, go check out the rest of the post and the great comments. (Side note: Stuff White People Do is no longer an active blog, but there is lots of great info–the blog was active from 2008 – 2010). The first thing you really need to understand is that the definition of racism that you probably have (which is the colloquial definition: “racism is prejudice against someone based on their skin color or ethnicity”) is NOT the definition that’s commonly used in anti-racist circles. A. Anyone can hold “racial prejudice” — that is, they can carry positive or negative stereotypes of others based on racial characteristics. For example, a white person thinking all Asians are smart, or all black people are criminals; or a Chinese person thinking Japanese people are untrustworthy; or what-have-you. ANYONE, of any race, can have racial prejudices. B. People of any race can commit acts of violence, mistreatment, ostracizing, etc., based on their racial prejudices. A black kid can beat up a white kid because he doesn’t like white kids. An Indian person can refuse to associate with Asians. Whatever, you get the idea. C. However, to be racist (rather than simply prejudiced) requires having institutional power. In North America, white people have the institutional power. In large part we head the corporations; we make up the largest proportion of lawmakers and judges; we have the money; we make the decisions. In short, we control the systems that matter. “White” is presented as normal, the default. Because we have institutional power, when we think differently about people based on their race or act on our racial prejudices, we are being racist. Only white people can be racist, because only white people have institutional power. D. People of color (PoC) can be prejudiced, but they cannot be racist, because they don’t have the institutional power. (However, some people refer to intra-PoC prejudice as “lateral racism”. You may also hear the term “colorism”, which refers to lighter-skinned PoC being prejudiced toward darker-skinned PoC.) However, that situation can be different in other countries; for example, a Japanese person in Japan can be racist against others, because the Japanese have the institutional power there. But in North America, Japanese people can’t be racist because they don’t hold the institutional power. E. If you’re in an area of your city/state/province that is predominantly populated by PoC and, as a white person, you get harassed because of your skin color, it’s still not racism, even though you’re in a PoC-dominated area. The fact is, even though they’re the majority population in that area, they still lack the institutional power. They don’t have their own special PoC-dominated police force for that area. They don’t have their own special PoC-dominated courts in that area. The state/province and national media are still not dominated by PoC. Even though they have a large population in that particular area, they still lack the institutional power overall. F. So that’s the definition of racism that you’re likely to encounter. If you start talking about “reverse racism” you’re going to either get insulted or laughed at, because it isn’t possible under that definition; PoC don’t have the power in North America, so by definition, they can’t be racist. Crying “reverse racism!” is like waving a Clueless White Person Badge around.